Former Vice President Al Gore helped shape the conversation about climate change with An Inconvenient Truth. 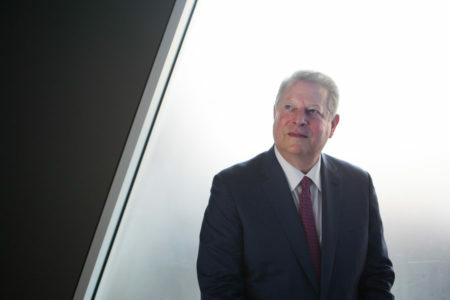 Now he’s back with a sequel — called An Inconvenient Sequel: Truth to Power, due out next month — and it follows Gore as he continues the crusade he made famous with that first film. The movie shows Gore standing in Miami floodwater, flying over imploding boulders of ice in Greenland and in Paris — trying to push the climate agreement over the finish line. Continue reading. This entry was posted in Nebraska / Midwest News, NewsBlog, Research and tagged Al Gore, An Inconvenient Sequel: Truth to Power, cimate change, climate change action, farmers depending on climate change research on July 24, 2017 by Helen Deffenbacher.